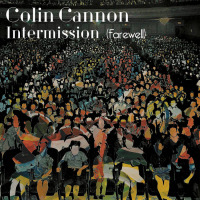 Reading the spare (and tongue-in-cheek) liner notes of guitarist/composer Colin Cannon's Intermission (Farewell), one could easily get the idea that Cannon wrote, arranged and produced the album for a relatively small inner circle of friends, family and associates. Referring to that cohort, he writes, ..."and besides you people, I don't particular care who else listens to thisit wasn't made for them." As with Mel Brooks' "The Producers," Cannon has failed to marginalize his wider audience by turning out one of the most charismatic releases in recent years. 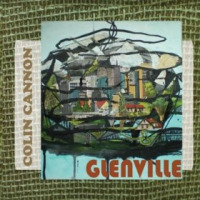 Track Listing: (Part 1) Your Everyday Prelude; Everyday; La Da; “My Time to Shine” –MM; Mofo; Intermission; (Part 2) Still Thinking; Still Breathing; Collin Goes To Church; Bugs and Stuff; Farewell; (P.S.) Recollections 1; Recollections 2; Recollections 3. Personnel: Zak Croxall: electric and upright bass; Tom Hartman: drums; Manami Morita: piano, fender Rhodes, melodica; Colin Cannon: guitars, ukulele; synthesizer, vocals and sound effects; Devin Dunne Cannon: vocals; Brik Olson: vocals; Madison Straton: vocals; Alex Mitchell: vocals; Tomako Omura: violins; Allyson Claire: viola; Kristine Kruta: cello; David Carkner: trumpet; Sly Onyejiaka: tenor saxophone, bass clarinet; Yuhan Su: vibraphone.